Refugee Proteste an der griechisch-mazedonischen Grenze « nichts neues?! Around Idomeni there are around 20000 refugees stranded. On Monday in the main camp, holding about 10000 people in tents, people started protesting. A group of jezidi refugees started a demonstration from the church of Idomeni to the closed border crossing. When the demo ended there, other people joined and blockaded the train tracks and the main distribution route of the NGOs, working in the camp. 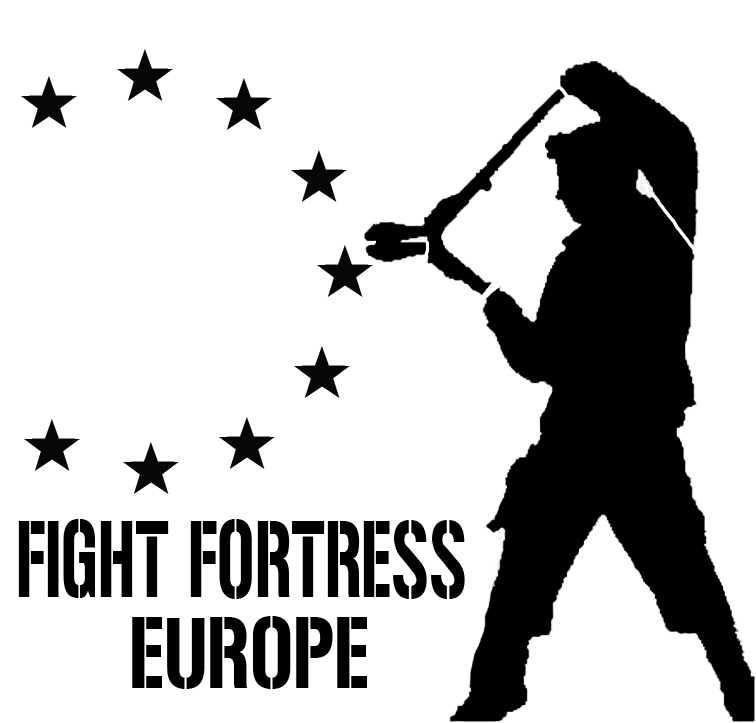 They where going into hunger strike to make the EU open the border. At the same time they stopped the food distribution in the camp, also by threatening volunteers and NGO workers phsycally. The medics left the camp and there was nearly no food distribution in the whole camp for two days. On monday evening one man poured gas over himself but other refugees seamed to convince him not to go on with burning himself. The next morning another two men went further and were brought to a hospital with several burnings. Today on the third day the blockade and hunger strike of the refugees on the train tracks are going on. The food distribution for the rest of the camp slowly starts again. On another spot near the town Polykastro people from other camps in the area, including military camps, started blockading the street leading into Polykastro. Now the blockade expanded to the highway, leading from greece to macedonia in this area. We talked to one of the women centraly involved in the protest, that is done by syrians and irakis at the moment. She told us that they where told they would be relocated from the improvised camps on the greece/macedonian border soon. They got the information to try to apply for asylum in greece by skype but it did not work. Now they where informed that there will not be any relocation soon. They don‘t want to stay in the tents because of the bad living conditions. There are insects, snakes, life threatening deseases and the tents are full of water, she says. That’s why they are protesting and blockading the highway and want to stay here in hunger strike. They want to do this until the EU either opens the border or relocates the people stuck on the border to other european countries. The blockade started arround 11am his morning and it has been growing since. Medical vehicals are let through. The police are behaving calmly for now. They are at the spot with a few cars but until now they have not been intervening in any way. In the other camps the news are beeing spread and more people are expected to come and join the protest at the highway.